It's not exactly a new stadium, but for them it's going to be a major celebration. Two days before the World Cup final, on July 13, fans of Austria Wien will come back home after two years away. 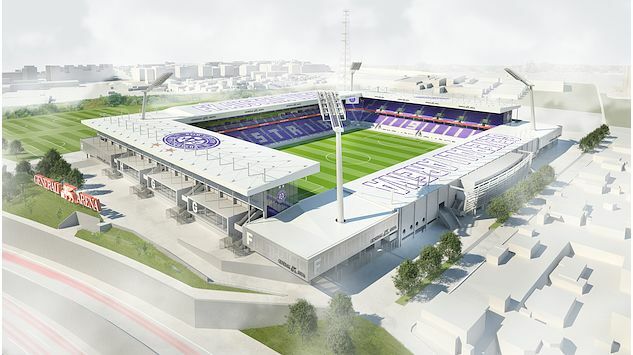 Precisely as planned back in early 2016, the new stadium of Austria Wien will be ready by July. 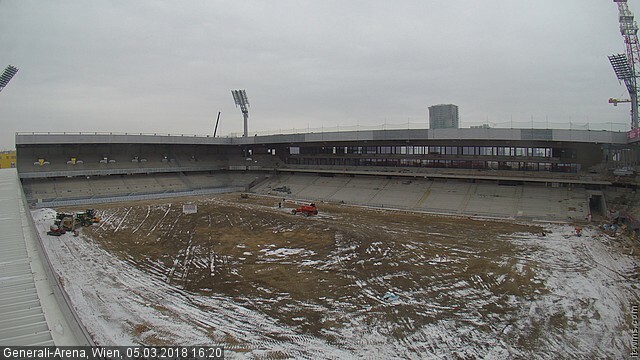 Generali-Arena, still referred to by many fans as Franz-Horr-Stadion, will officially reopen on July 13, as announced earlier today by FK Austria Wien. Borussia Dortmund is the rival, a club both preferred by fans of the home side and one with which Austria maintains very good relations. 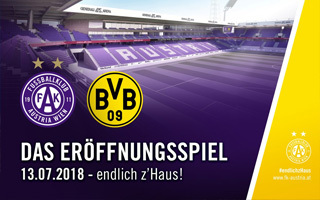 For supporters of the violet team July 13 is a crucial moment, return to their spiritual home after two years of playing at the national Ernst-Happel-Stadion. Reconstruction began in June 2016 (official groundbreaking later that summer) and will end within the 2-year time frame. During the works only two grandstands were rebuilt from scratch, two others renovated. The west and north sides are now double-tiered and the latter has greater floor space than all other sections combined. With improved corporate facilities and capacity increased to 17,500, the stadium is expected to boost Austria's profile and make competing with local rivals Rapid much easier. The two added stands are the final of works commenced back in the previous decade. By 2009 Austria already had a new east stand with two tiers. In 2014 a new south-western corner was added. Interestingly, the stadium maintains its old floodlight masts, two of which were incorporated into the new grandstands.